Adobe Photoshop CS5 is powerful software for design most of the graphics, being widely used for editing, creating, converting, selecting, typing and retouching with the help of its various tools. 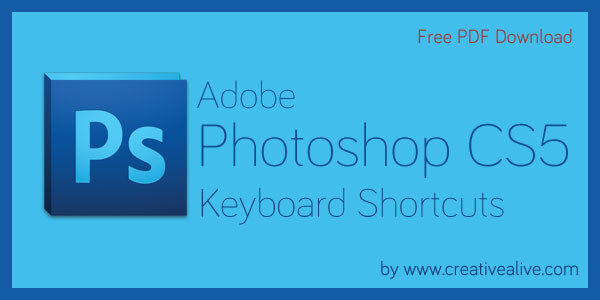 Most of the Photoshop tools can handle by keyboard shortcuts. We have collected these all shortcuts and make a PDF file for remember them easily. This PDF contains keyboard shortcuts for all new feature in CS5 version and basic shortcuts like Selection tool, image tool, Puppet Warping, Refine Edge tool, Filter Gallery, Liquefy, Vanishing Point, Camera Raw Dialog Box, Black-and-White Dialog, Curves Making, Selection and Move Object, Transform Selections tool, Selection Borders and Path + Edit Path tools, Painting, Blending Mode tool, Selection + Edit text tool, Format Type, Slicing and Optimizing, Measurement tool (PS Extended), 3D tools (PS Extended), All Function key and use, Photoshop CS5 all Panels, DICOM files (PS Extended) and more. Download PDF and get print for your work desk. I waѕ able to find good advice from your content.